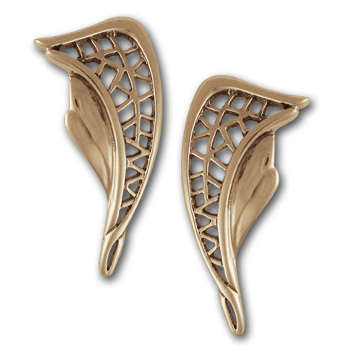 Lends a feminine elegance to any attire! 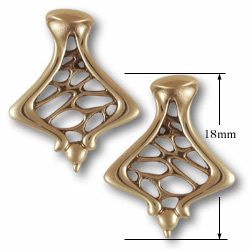 Another classic, handcrafted in wax and cast in 14k gold, these lovely earrings were inspired by Antoni Gaudi's intricate wrought iron works and of the mosaics of broken glass and tiles. 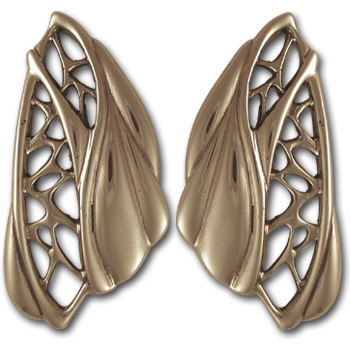 This piece of Art Nouveau jewelry will surely become an instant favorite!